We believe that one of the cornerstones of personal, professional and academic success is reading. 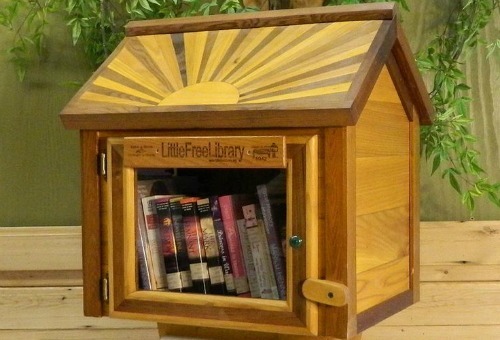 Little Free Library is a nonprofit organization that promotes literacy in a unique way–right from your front yard! Read more about this creative program at www.littlefreelibrary.org We love the idea so much, that we’ve designed a promotion to benefit both our clients and this organization. Referrals (unlimited entries)- each time a new friend comes for a session, you are both entered to win. Sign up for free updates from Power of Touch Wellness!